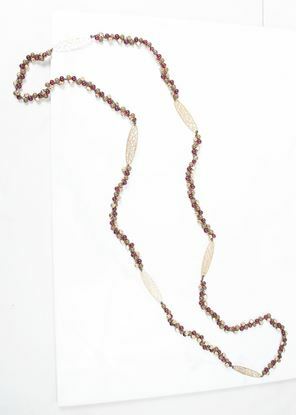 A handcrafted strand of glass beads in coordinating shades, accented by a gold laser cut leaf design. 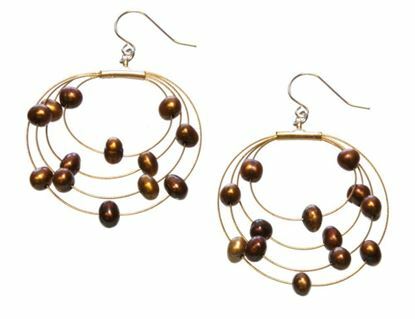 A handcrafted strand of glass beads in coordinating shades, accented by a gold laser cut leaf design. 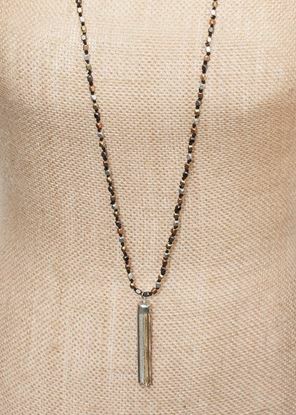 Pre pack includes 3 each of 3 styles, 9 necklaces total. 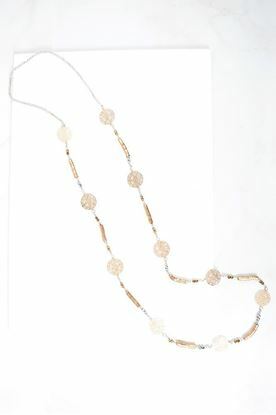 A handcrafted strand of metallic beads in shades of copper, silver and gunmetal accented with laser cut coins. 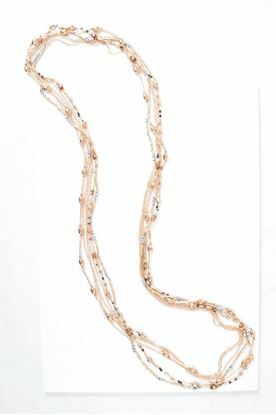 This handcrafted necklace features layered strands of copper and silver metallic beads. 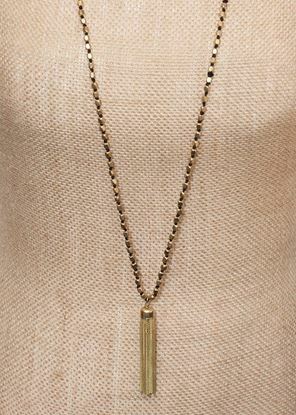 Metallic beads make up this sleek tassel necklace that can be worn long or double wrapped for two unique looks. 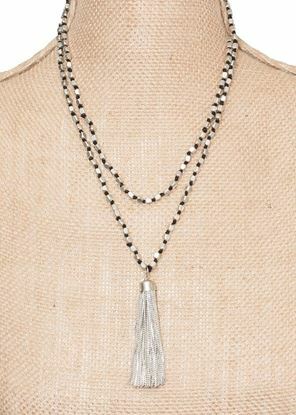 Metallic beads make up this sleek tassel necklace that can be worn long or double wrapped for two unique looks. 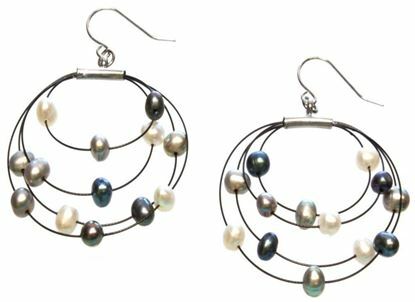 Pre pack includes 3 each of 3 styles, 9 necklaces total. 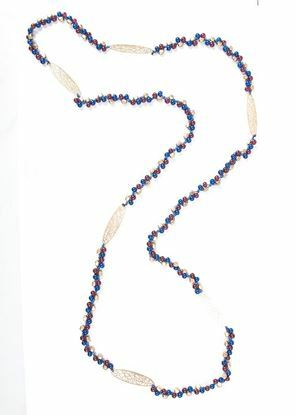 Handcrafted from genuine wood discs and cubes strung along a 38" strand. 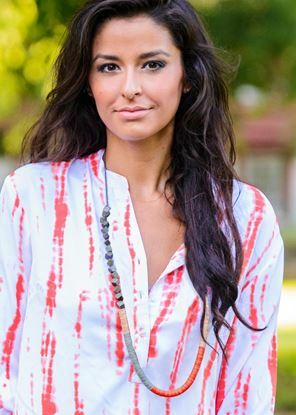 Adjustable pull-cord can bring this down to a 32" length, creating a versatile necklace and a perfect fit! 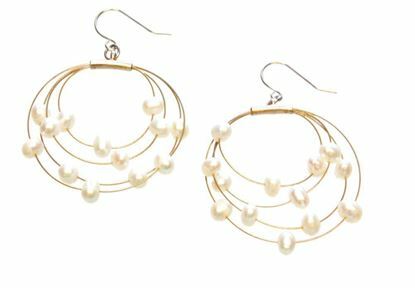 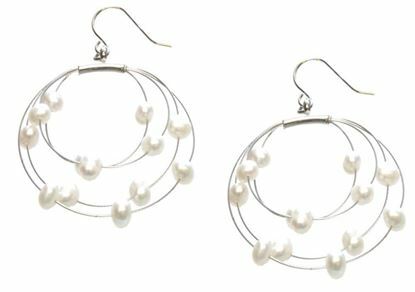 Genuine cultured pearls elegantly float around these wire illusion earrings. 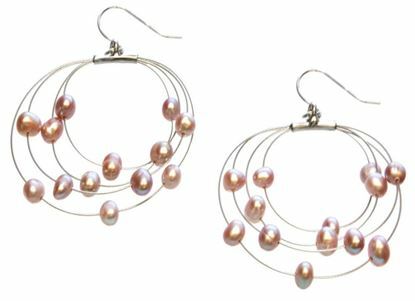 Tear Drop genuine cultured pearl earrings with decrative stainless steel findins and closures for the perfect finishing touch. 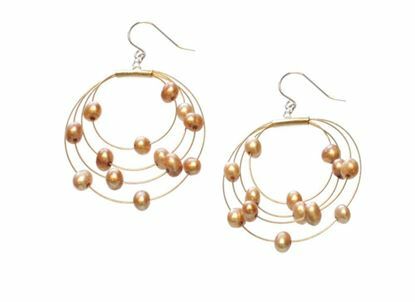 Crown Earrings feature crystal handset in an intricately detailed crown setting. 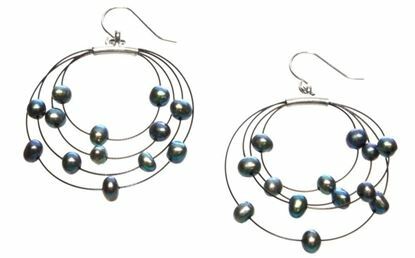 These Austrian crystal earrings have rhodium-plated settings with titanium posts. 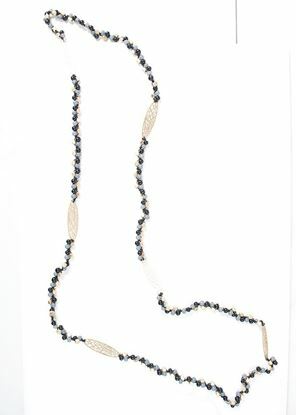 Capture the old world vintage with these sparkling, unique bracelets, earrings and necklaces featuring genuine Swarovski elements.